Credit score numerically represents the amount of risk the lender takes to lend his money. It also shows the extent of one’s ability to repay a loan. Credit score is one primary importance if one is planning to get a big loan anytime soon. The credit score depends on number of factors such as payment history, wealth, assets etc. If you do not have any credit history, then you need to take a loan first and then repay the loan amount fully on time to get a credit score. Peer to peer lending platform is one such option, which gives loan to people with no credit history. It will help you to meet your immediate fund requirements and at the same time will help you to improve your credit score. P2P lending platforms offer unsecured personal loans for interest rates as low as 12%, which makes it an attractive option when one realizes that the process is entirely online and one doesn’t need to step out at all. One can even get Online Personal Loans with no or low CIBIL score. But wilful defaulters are not entertained even by P2P Lending platforms. Hassle-free: Most of the online personal loans do not require any kind of security or collateral. They also have a faster approval process where borrowing is much easier as compared to secured loans. Clear way for future loans: If one pays off personal loans on time, it adds value to future loaning prospects. 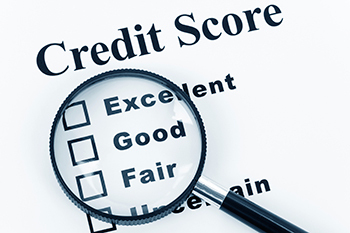 About 55% of the credit score depends upon the credit history. Therefore, if one is regularly repaying loans, it shows one can responsibly manage debts. The overall history of credit weighs more in the credit score than one single big loan. Hence the lender might be relying more and give loans on better terms or interests. It is important to keep some important things in mind while taking an online personal loan. Multiple loans should not be taken all at once since the person may not be able to repay all of them on time and it may hurt credit score instead. It is also important to be thorough in viewing loan agreement so that possible penalty clauses do not hurt finances. Minimizing debt is equally important as so that paying back loans so not become perpetuity. One should also not go for unnecessary loans or use credit card too much while the whole process of pay off is still in progress. P2P Lending platforms are recognized by the Reserve Bank of India and continue to grow at a rapid pace. P2P loans can be availed for a wide range of reasons – from debt consolidation, credit card payment, and medical emergency, to home renovation, marriage loans, and even travel loans. But one should always consider all the factors before taking a personal loan and should always have some backup in case of loan crackdown.